Sat., Oct. 7, 2017, 9:25 a.m.
TULSA, Okla. – Three hung juries in the case of a white former Oklahoma police officer charged with fatally shooting his daughter’s black boyfriend had one thing in common besides unwillingness to convict: Each had only one African-American juror. 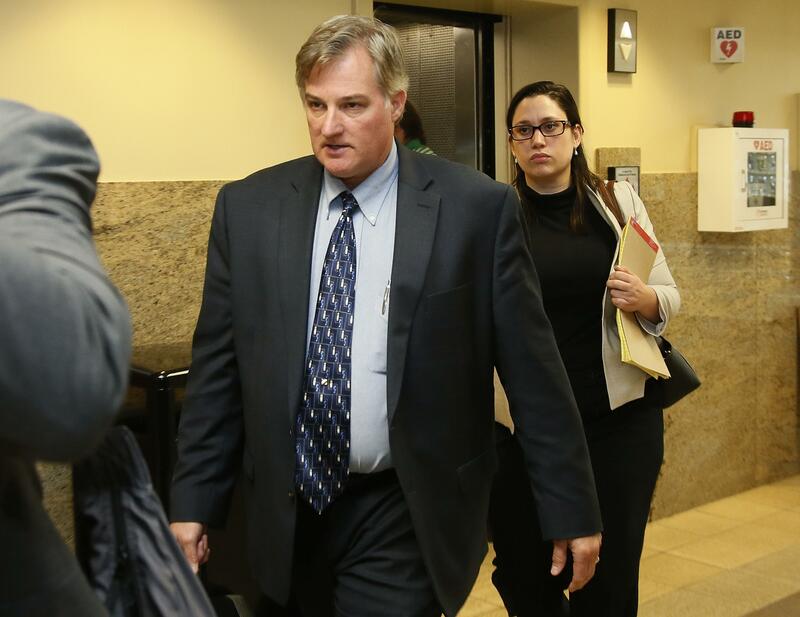 Race has been an undercurrent in ex-Tulsa officer Shannon Kepler’s first-degree murder case, which is headed for a fourth trial. Criminal law experts and U.S. Supreme Court cases point to the importance of racial identity and policing when it comes to jury selection, which is set to start Monday. Kepler, a 24-year veteran of the force, was off duty in August 2014 when he fatally shot 19-year-old Jeremey Lake, who had just started dating Kepler’s daughter. Kepler doesn’t deny pulling the trigger but says he did so only because he thought Lake was armed. No weapon was found on or near Lake’s body. Officers across the U.S. involved in fatal shootings of black residents have recently faced similar trials. In the past year alone – including in Tulsa – juries were unwilling to vote for a conviction or prosecutors were unwilling to charge officers in cases from Baltimore to St. Louis. In May, a jury acquitted now-former Tulsa officer Betty Jo Shelby in the killing of an unarmed black man, which roiled the city’s black community. The racial makeup of the juries in Kepler’s previous trials prompted criticism from at least one civil rights group. Tulsa activist Marq Lewis with We the People Oklahoma said Kepler’s defense attorneys have been booting potential jurors based on skin color. Richard O’Carroll, Kepler’s defense attorney, has denied race played a role in Lake’s killing. O’Carroll did not return messages this past week seeking comment on the case. Tulsa County District Attorney Steve Kunzweiler declined to comment specifically on the racial makeup of the past juries, but acknowledged “frustration” with the results of the trials. “I know I had citizens who put in a lot of effort and worked very hard and I know from their perspective they are frustrated as well,” Kunzweiler said. Another racial element was recently added to the case when Kepler argued that he couldn’t be tried by state prosecutors because he’s a member of an American Indian tribe. A judge determined the fourth trial could move forward in state court. Kepler says he’s 1/128th Muscogee (Creek). Last year, the U.S. Supreme Court ruled 7-1 that prosecutors violated the Constitution by excluding African-Americans from an all-white jury that convicted a black Georgia death row inmate of killing a white woman. The decision emphasized rules set by the court in 1986 to prevent racial discrimination in jury selection. Seating more jurors of color – especially in cases involving police who have fatally shot people – could be a factor in how a jury ultimately votes, said Bridgette Baldwin, professor of law at Western New England University in Springfield, Massachusetts. McDaniel-Miccio, the Denver law professor, said the Kepler case illustrates what the U.S. is trying to address when it comes to race, police and the justice system. Published: Oct. 7, 2017, 9:25 a.m.